Humpback Whale calves putting on a show for us! This years whale-watching season has even topped last years! 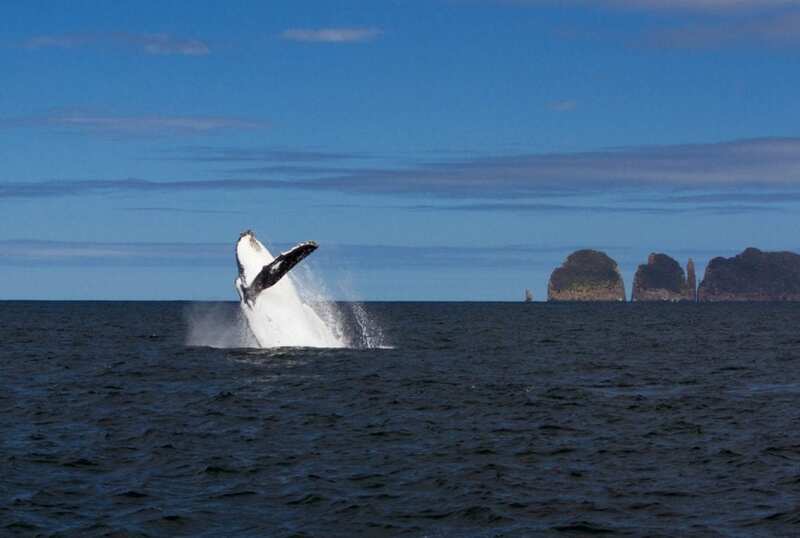 We’re only half way through this years whale watching season and can say that it has been the best so far!! 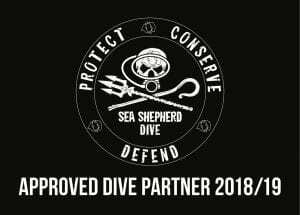 Although we are not an actual ‘whale-watching’ operator (because we understand that whales are wild animals, generally food driven, and sightings cannot be guaranteed) we go out of our way to find some whales for our guests (and for us…) on our wildlife tours. This year, we have been seeing whales on nearly every trip so far! 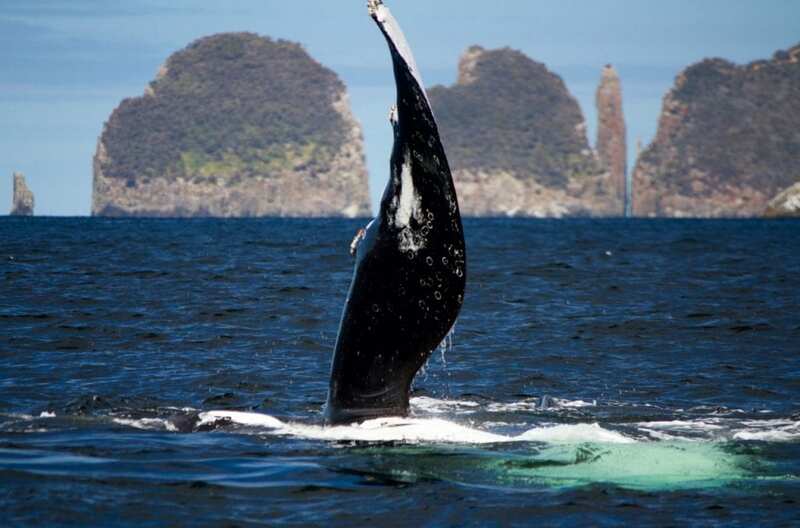 Tasmania’s Southeast coast is cetacean rich and it is home to many different species of whales. Over the last couple of months we’ve spotted Humpback Whales, Orcas and even the endangered Southern Right Whale. This migration season, we’ve often seen mother and calf Humpback Whale very close to the coast. The calves have been putting on a show for us this year and treated us with lots of acrobatic breaches. This years whale-watching season has been a very special one for us and our guests, because we got to witness some amazing whale calf behaviours. Most of the baby whales seemed to be very energetic and showed off with some spectacular breaches which gave our crew incredible photo opportunities! The most amazing day for us was, when we watched a baby Humpback whale practise to lunge feed. From the boat, we saw how the little guy accelerated and opened his mouth to scoop up some water. 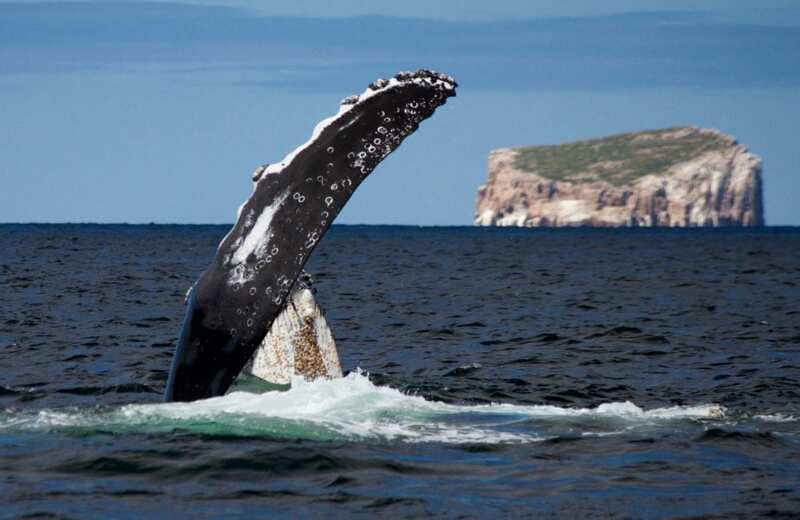 Tasmania is a great spot to watch adult Humpback Whales feed. Yet, to see a calf mimic it’s mother was a very special sight! Our drone allowed us to capture unbelievable footage showing the little one playfully learning how it’s done. You can even see it’s tongue when the calf opens up it’s mouth! Pectoral fin slapping is usually done when the whales are in a very relaxed state. Here you can see the Humpback Whale calf spyhopping behind the large flippers of it’s mother. This whale calf is lifting it’s head out of the water to have a look around. This behaviour is known as spyhopping. Humpback Whale calves are quite vulnerable when they are young and have to put on weight quickly to be prepared for the long migration to Antarctica. They are one of the fastest growing species of whale, reaching 8-10 meters within the first year. The mother will feed her young over 200 litres of milk per day that is very rich in fat. Feeding can easily be identified, when the mother stays underwater and the baby returns to the surface every few minutes to breathe between feeds. Humpback Whales have very distinct pectoral fins. They can measure 1/4 to 1/3 of their whole body length. It is believed that whales slap their pectoral fins to communicate with other whales in the area. Researchers are still studying the behaviours of whales to find out more about the reasons why they breach or slap their tails and flippers. The slapping of pectoral fins and tail is most likely done to communicate with other whales, as the sound can travel far distances underwater and can be heard from other whales even kilometres away. It could also be a warning of danger or to work out their position in relation to land. This female Humpback Whale is slapping her tail to communicate with other whales in the area. The sound can be heard underwater by other whales kilometres away. 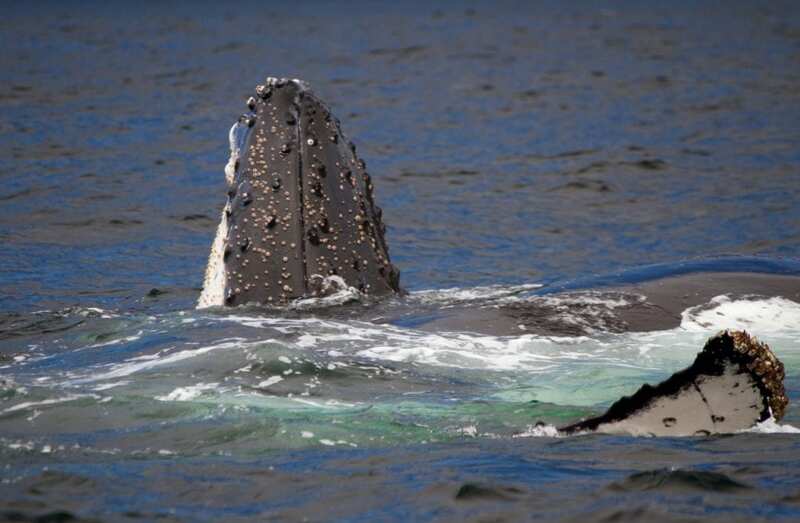 Whales also slap their tails to get rid of barnacles and sea lice. 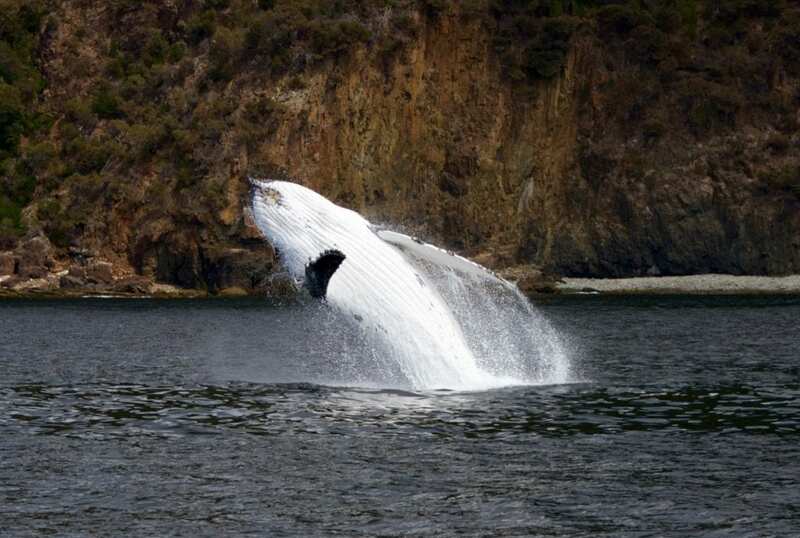 Especially Humpback Whales are known for their acrobatic jumps. To see a whale breach is something very special and a photographers dream. Although the whales seem to prefer rough and windy weather when breaching, this years calves have certainly enjoyed themselves on the most beautiful and calm days, guaranteeing that every passenger captured a spectacular photo to take home and remember this day forever. Why do Humpback Whales breach? There are several reasons for a whale to breach, one being the simple joy of jumping out of the water. Other reasons are trying to get rid of parasites, communication with other whales or to scare off predators. 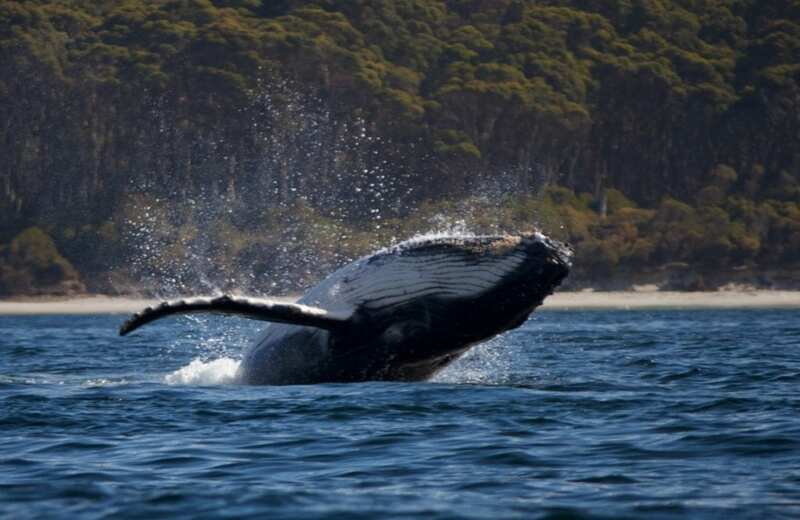 When is the best time of the year to see whales in Tasmania? 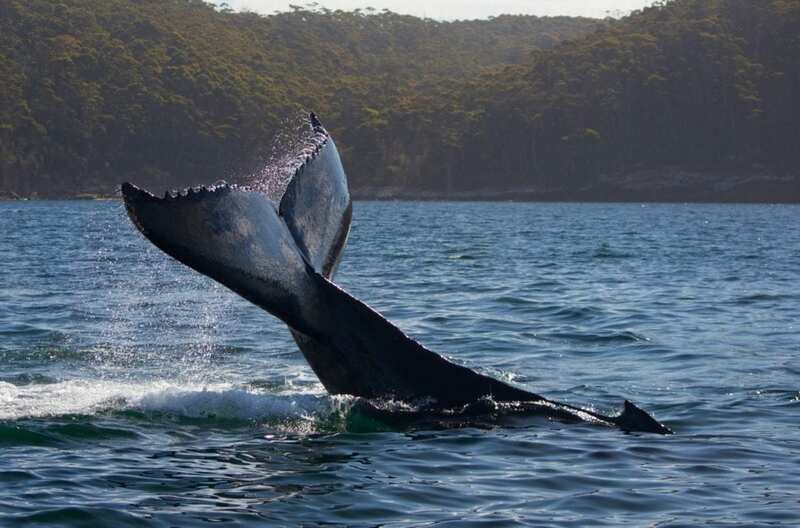 In general, there is a chance of spotting whales any time of the year in Tasmania, as there are many different species of whales that occur in Tasmanian waters, not all of them are migrating whales. Orcas for example can be seen year round, when the food source is available. For migrating Humpback Whales and Southern Right Whales, the best time of the year to see them is during their migration down South (from warmer breeding grounds to their main feeding ground in the productive Antarctic waters) between October and mid Deceber. Saying that, last year, we’ve seen the last migrating Humpback Whale mid January. Please follow this link, if you would like to find out more about our different boat tour options for your chance of a very special wildlife experience!